It's the time of the year when we are excited once again to put up the decorations inside and outside of our home. 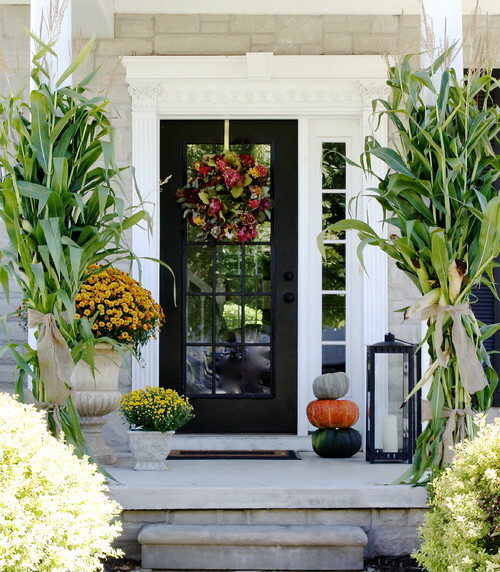 Since the first day of Fall will few days away from now, I have researched some few ideas on what you can decorate outside your yard, front porch and welcome the new season of the year. 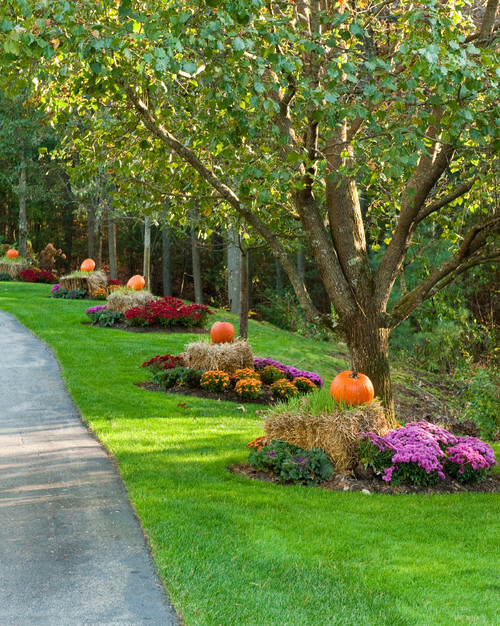 I went straight ahead to my favorite website houzz.com and check out some ideas to share with you. I do hope you'll find this ideal for your future fall outdoor decoration.